Hot tubs and spas dealer serving the greater Denver area with HotSpring Spas since 1978 credits their success to great products and their steadfast commitment to quality customer service. Highlands Ranch Colorado International Hot Tub Company, a new and used hot tub dealer with stores in the greater Denver, Colorado area is happy to announce another year of good sales growth. “We understand that selecting a hot tub can be an overwhelming and confusing process. My goal has always been to take the stress out of buying a spa. That’s why we encourage our clients to ask questions," continued Hiner. "In addition, we’ve invested in hiring and training our dedicated spa specialists to be sure each client gets all the information they need to make the best spa buying decision possible for their needs and their lifestyle, even if they don’t buy from us." Since 1978, IHT - International Hot Tub Company has been providing the Finest Products and service available in the Hot Tub, Spa and Sauna Industries. We offer Hot Tubs including Hot Spring, Caldera, Limelight, Hot Spot, FreeFlow and Nordic. 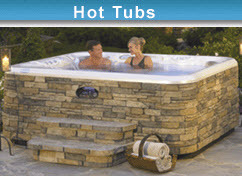 We also feature used hot tubs and the used list changes weekly. IHT carries many other fine home products in our showrooms, including Fireplaces, Stoves & Inserts by Kozy Heat & Napoleon, Saunas and Steamrooms, Gas and Charcoal BBQ Grills by Weber and The Big Green EGG, and Gazebos by Sequoia Works. To pick up a copy of our free report – “7 Secrets to Selecting the Right Hot Tub Dealer” call 303-296-7727 or go to http://ihtspas.com.